Hi my name is Christine. I am 8 years old and I am Tongan. Tonga is known for its graceful dancing, hunting, beautiful clear oceans, tropical fruit, and weaved artefacts. One of Tonga's artefacts is the "Ta’ovala". 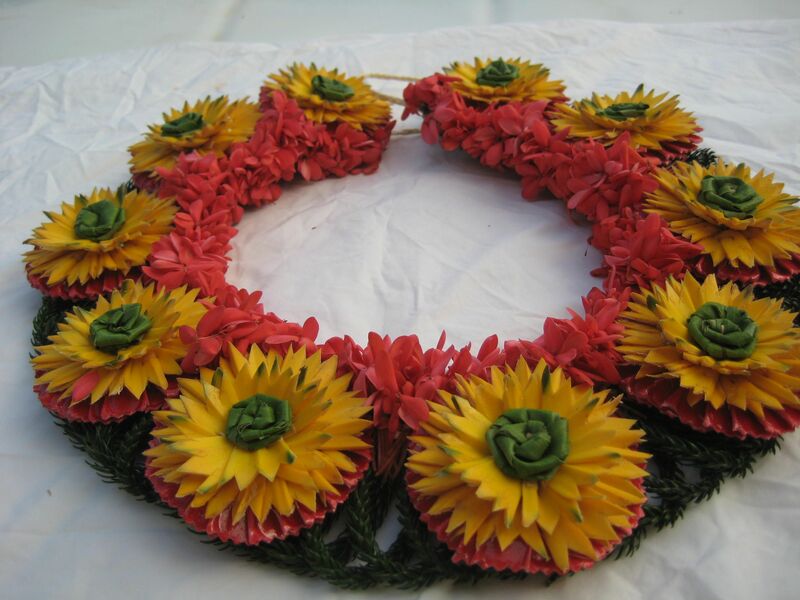 "Ta'ovala" is a traditional skirt and "Kahoa" is a necklace. Most items are made out of bark from a mulberry tree. Today I have brought an artefact from my culture to share with you. It is called "Fau". "Fau" is made out of tree bark and it is used to wear around the neck like a necklace. "Fau" is worn by people who dance also for special occasions. This is important to me because I wear it when I am dancing. It also reminds me of my aunty who makes a new "Fau" for me every time I dance.